We are a professional landscaping company who prides ourselves on treating your landscape project as our own. We can assist you in achieving any level of landscaping for your home, from small gardens to complete backyard transformations, and ensure that your landscaping reflects not only your home, but you, and your budget as well. We strive to offer you a complete package from your free estimate, to a 3D design package to building, installing and maintaining your landscape, and above all we guarantee superior quality work at an affordable cost. 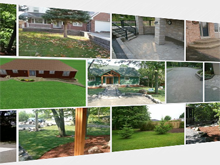 Based in Orillia, our professional landscape company specializes in hardscapes, the design, supply and installation of retaining walls, walkways, patios, fences, decks, etc. 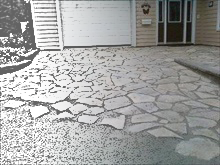 Our service areas include, Gravenhurst, Barrie, Lindsay, Midland, Parry Sound and all points in between. We offer free estimates, prompt courteous service, a full 3D design service and work with other trusted contractors to ensure professional completion of all your landscape needs from small yard repairs to complete outdoor living areas. There are as many reasons to landscape your property as there are designs to accomplish it. So contact us today for your free estimate and consultation and let Gray Scapes start today to help you turn your landscape from dreams to concrete.